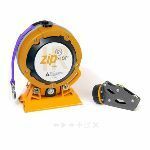 Although not always needed, it is strongly recommended that in zip wires using wire above 4mm that you have a zip wire brake. 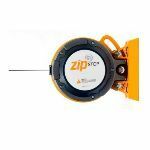 There is sometimes confusion over what and how a zip wire brake is and works. 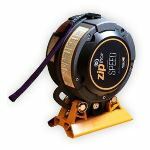 Not to be confused with the internal stopping zip wire brake on the 10mm or 12mm Zip Wire Trolley, this range of zip wire brakes are external and sit inline on your wire at the end of your run to help slow you down and prevent you crashing at the end of the run. Here at The Zip Wire Company we would always recommend that you use one of these brakes at the end of your run rather than an old tyre as suggested on some other sites. The tyre causes a much harsher stop whereas these type of zip wire spring brakes will give a much gentle and softer stopping action.